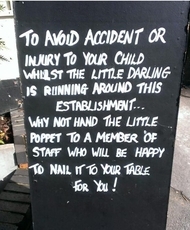 Fine pub with good good, and child friendly - in a rural area. Beer quality is excellent and the staff are efficient and courteous. Good for a trip out from Horley and/or Redhill. When is the play area promised when the new owners took over, going up? As business has picked up does this mean the new owners are going back on their word & not installing a play area? We're coming into the summer months soon & it would be nice to see something for our children. 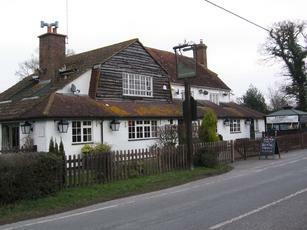 Just been to the Plough & Furrow for the third time since new owners & refurbishment & what a fantastic change. Roast dinner had by 2 adults & 2 children (both under 7 years old) & you couldn't ask for more accommodating staff. Food was plentiful, hot, good selection of vegetables & at a reasonable price. Drinks were served to us at the table & even the bill was brought out to us - we didnt have to stand at the tiil/bar to pay. Good atmosphere & welcoming. Whilst yes its a shame about the play area - its coming back next year when the weather is better. Certainly worth a visit. This is just a personal opinion & certainly not one that I intend to get into a message thread over. Andy1984: I agree with you about the previous management. They were so hospitable, friendly and welcoming, as were the other employees. The mood in the pub now seems somewhat flat and uninviting. I see that lindawedlock123's comments re. stuart_t / Mark Jones have gone unanswered? Something too hide maybe Mark??!!! As this site requests reviews I shall give mine. The removal of previous management in my opinion is a mistake. The mood feels tense, quiet and subdued in the pub now as opposed to the previous upbeat atmosphere when the pub was reopened. The new landlord and landlady are trying to hard to please which comes across as false. The owner 'stuart_t aka Mark Jones appears cowardice in his failure to respond to accusations that he has falsified reviews. Give the place a miss and head into Horley.